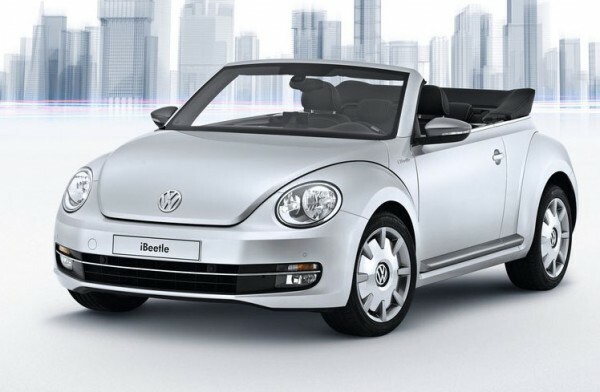 We’ve seen car manufacturers like BMW and Mercedes integrate Apple’s products into their vehicles, like Siri Eyes, but Apple and Volkswagen has taken things a step further by developing the iBeetle. Unveiled at the on-going Auto Shanghai 2013, the iBeetle features a newly developed iPhone dock for the iPhone 5 and comes with a new iPhone interface specially developed for the Beetle. What makes this partnership unique is the Beetle app called Volkswagen Car Net The Beetle. When launched (either wirelessly or by docking it), the iPhone will turn into a mobile navigation system with a menu that lets users access specific features like Spotify, Expert, Trainer, Reader, Postcard, Photo, Post and Milestone. Users can use Spotify as a music streaming service, use Reader to read out messages pulled from social networks or SMS, and use Postcard or Photo to share current location and photos onto social networks. The Expert mode allows users to use the iPhone as an extended dashboard to see information such as G-meter, oil and coolant temperature gauge for the engine, a chronometer, and a compass. Trainer mode will keep track of driving times, distance and fuel economy values for different routes between 2 destinations; users can also opt to share these information onto Twitter and Facebook. Any rich Apple fans here willing to buy this vehicle built specially for the iPhone? Visit Volkswagen for more information.